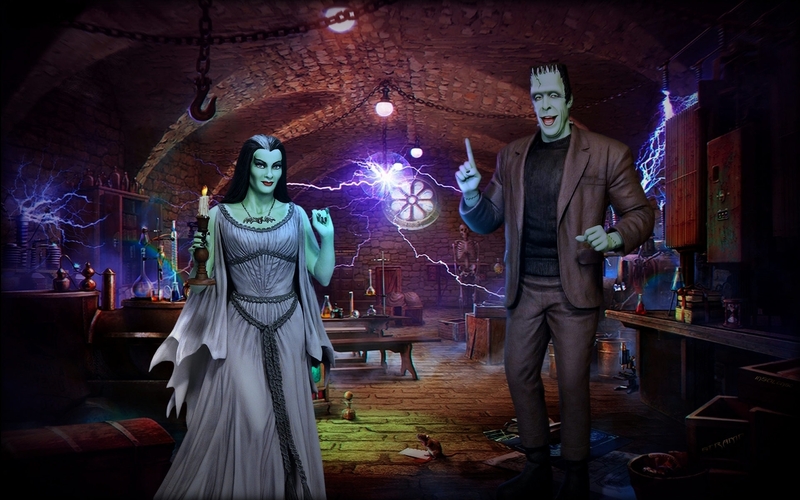 The Munsters series originally aired on September 24, 1964, to May 12, 1966. Welcome to Grandpa's Labratory on Mockingbird Lane! Many Thanks to inSOLense @ Deviantart for the errie laboratory wall! And to Sideshow collectibles for the collectible models to bring you this Electric composistion! There are 7 sizes in the wallpak from 1280x800 to 2560x1440. Permissions and credits with links are in the zip! HH to all! D_Miller Awsome I'm staked, whoops, stoked THX!!! inSOLense's background sure sets the tone SED! Thank you TBC!!! Nice work, John! Love the Munsters!! Your very welcome Dave! Thanks for commenting also!